Climate change and galloping urbanization bring along a major corollary issue: water scarcity and quality. By 2025, 2/3 of the world population will face water related problems and 1.8 billion will live in conditions of absolute water stress. And with the demographic explosion, 70% of the 10 billion world population will live in cities by 2050. The problem appears crystal clear: water catchments are not in cities but in rural areas. What’s more, rural landscapes are not only the water towers of cities but also their breadbasket. And given that agriculture accounts for 70% of fresh water consumption, it becomes obvious that water scarcity and food security must be addressed simultaneously to preserve the fragile balance between cities and the countryside. Furthermore, smallholder farmers around the world, who provide 70% of the world food, are the most exposed to water scarcity, land degradation and climate change. How to preserve water resources and make sure that smallholder farmers can continue producing food and earn a decent living? How to maintain the fragile balance between the water and food needs of big cities and the land use and biodiversity of rural landscapes? And how can private companies, public institutions, NGOs and the civil society find new ways to work together and finance innovative solutions to tackle water scarcity, food security and climate change at scale? Since 2011, the Livelihoods Funds have been building multi-stakeholder coalitions to support smallholder farmers in Africa, Asia and Latin America. 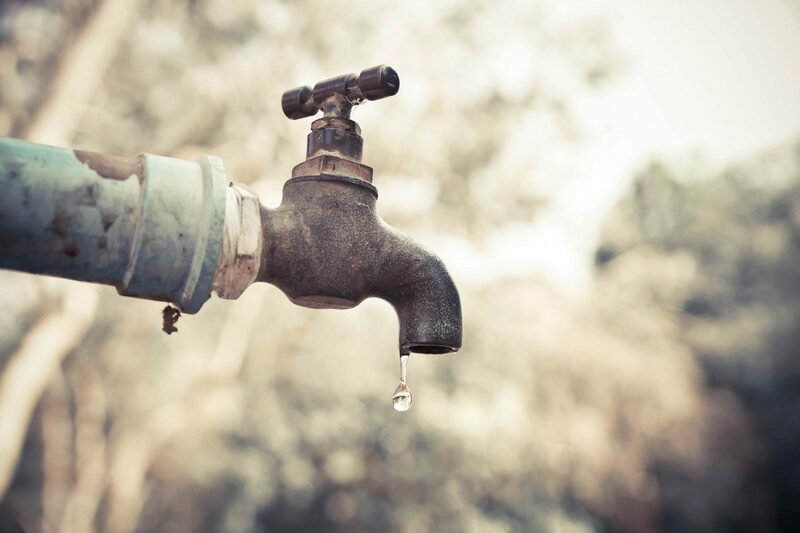 Discover the projects the funds have designed in Mexico, Brazil, Burkina Faso and Kenya to tackle water scarcity, food security and climate change simultaneously. Through the Livelihoods Funds, private companies have joined forces with Mexican public organizations to tackle the aquifer’s deficit by mutualizing their means and resources. 65% of the annual aquifer’s deficit could be managed if this project is scaled up to 5,000 farmers with the support of other private and public water users. Aguascalientes City, located in the center of Mexico, is home to nearly 1 million inhabitants and one of the fastest-growing cities of Mexico. Aguascalientes, named after the numerous hot springs in the area, has an economic growth above the national average and a low unemployment rate at 3,5% thanks to its central location and good access to the country’s markets. The city hosts the facilities of many companies (textile, cars…) which create thousands of jobs. Yet, the city’s main aquifer, which supplies 100% of its needs, is located in the driest part of the region. It has been facing an annual deficit of 280 million m3 per year, which is equivalent to the domestic consumption of more than 2 million Mexicans. Agriculture accounts for 70% of the extracted volumes, urban public use for 25%, industry for less than 3% and households for less than 3%. Veolia, which has a long-term concession to manage both the municipal water drinking water and wastewater collection systems of the city, and Danone, which has a bottling factory for its Bonafont water brand in Aguascalientes are also investors in the Livelihoods Fund for Family Farming. Through the fund, they have joined forces with Mexican public organizations- namely, SEDRAE (the Agricultural Authority of the Sate of Aguascalientes) and FIRA (the Mexican agency for Rural Development)- to tackle the aquifer’s deficit by mutualizing their means and resources. Public organizations have indeed launched many initiatives to support farmers, but their work is was constrained by the 1-year duration of the public schemes. In this way, they can leverage the 6-year programme initiated by Livelihoods Funds to build a long-term relationship with farmers and achieve a bigger impact. Likewise, Veolia and Danone have the opportunity to go beyond their operations perimeter with this partnership to act more widely on the sustainability of the aquifer. The project enables smallholder farmers located around one of Rio de Janeiro’s main water catchment to adopt a 100% chemical-free agriculture. It will result in the creation of the biggest organic food production hub of Rio de Janeiro. The mountain ridge of Tinguá, at around 60 km upstream from Rio de Janeiro, is one of its key water catchments. Farmers in this region struggle to live off their work due to inefficient practices and access to markets. This under-valued land at the door-step of a megalopolis generates speculation. In the long-term, mass tourism, real estate programs and polluting industries could exert pressure on land management in Tinguá. 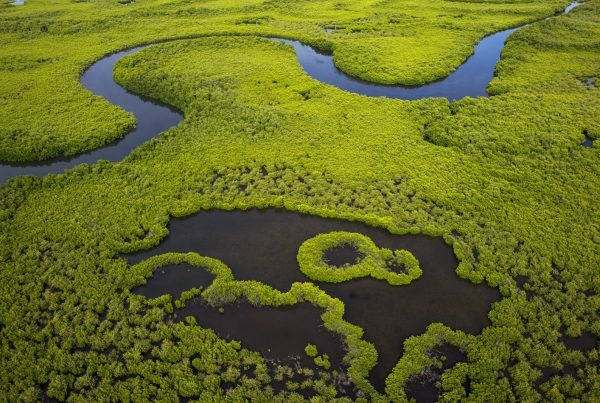 The preservation of Tinguá’s water resources therefore goes along with a sustainable and profitable land use. The Livelihoods Fund for Family Farming has therefore designed a project to link water conservation with sustainable farming practices and improved revenues for farmers. The strength of this program lies in its ability to turn farmers with little technical know-how into professional organic farmers through a 30-month training program and efficient equipment. Farmers are provided with an agroecology kit, consisting of equipment for a plot of 5,000 m2, including seeds, irrigation pipes, chicken coops, chickens, and a water tank with a solar powered pump. It will boost chemical-free productivity thanks to drip irrigation, optimized working conditions and synergies between plants and poultry. After one year of training, farmers receive an organic farming certification from a Brazilian national agency. Together, the 250 family farms of Tinguá will become the largest organic food production hub supplying Rio’s growing market for healthy food. The project has also a strong sales component to connect farmers with markets, restaurants and supermarkets of the city. The project is supported by Bonafont, a Danone brand which operates a mineral water factory in Tinguá, and the Sebrae (the Brazilian SMEs development agency). It will enable smallholder farmers located in Tinguá to adopt a 100% chemical-free agriculture to preserve the watershed. This will result in the creation of the biggest organic food production hub of Rio de Janeiro. The Livelihoods Fund co-designed the project and bears the investment risk by providing upfront financing for its implementation and monitoring. For Bonafont, like all Danone’s water brands, preserving water resources is instrumental for a resilient business. Bonafont pays a fee to the fund according to the number of hectares under conservation to ensure that the project has tangible results. With this result-based mechanism, Bonafont reduces its investment risk while benefitting from Livelihoods Funds’ expertise in project development with smallholder farmers. 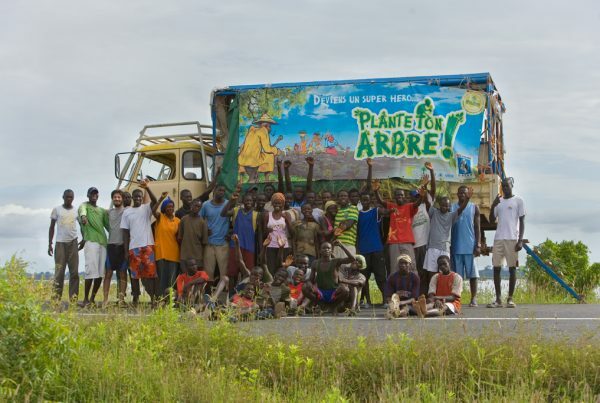 The Sebrae co-invests in the project and implement it in the field. 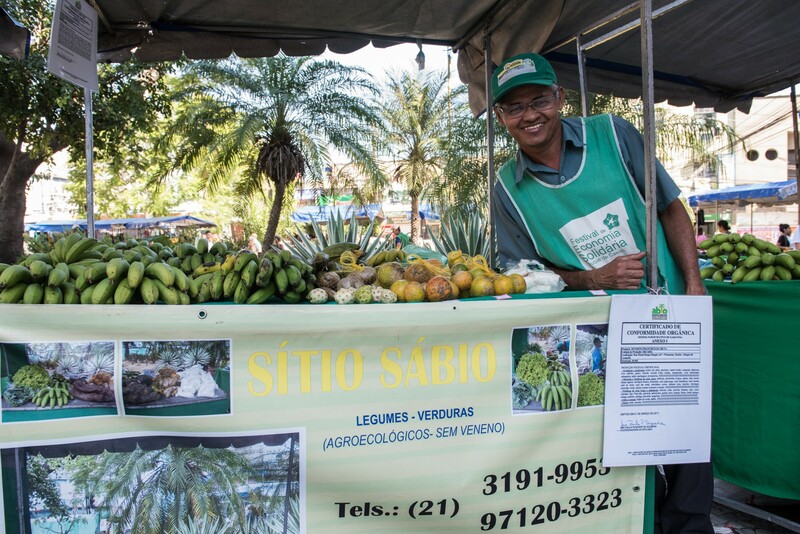 With the private sector’s support, the Sebrae is able to implement a pilot project initiated with 15 farmers around Tinguá to increase the production of organic food while preserving natural resources. The study conducted within this project shows that Smart Agricultural and Land Management (SALM) practices increase the quantity of organic matter in the soil content by around 1 ton per ha each year leading to 17,000 liters more groundwater available per hectare. As a result, this healthy soil sequesters an additional 2,5 tons of C02 per hectare per year. In Kenya, the Livelihoods Carbon Fund is supporting 30,000 family farms in their transition towards more environmentally friendly farming practices and the creation of a resilient dairy value chain. Around the Mount Elgon region, deforestation, inefficient agricultural practices, uncontrolled grazing and soil erosion have a direct impact on local biodiversity & soil fertility. They also threaten the ecosystem of Lake Victoria as huge quantity of sediments are carried by rivers downstream. 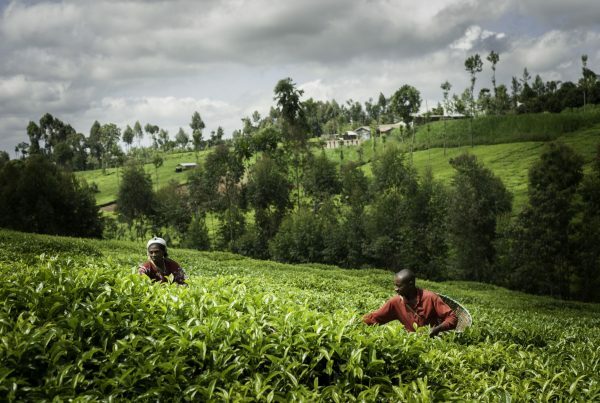 Farmers are trapped in a vicious circle where degraded lands retain little water and amplify run-off, leading to low crop yields and fodder production which in turn results in poor milk yields particularly during the dry season. Currently, most of the farmers in the project area produce an average of 3 liters of milk per day, with an even lower level during the dry period in Kenya. The low productivity is due to inadequate access to nutritious feed, water and low producing breeds. The project aims at increasing productivity gradually to 6-12 liters per day per cow. This is possible as farmers will produce fodder crops on farm to feed the cows all year round while introducing improved breeds through high quality artificial insemination. To increase the soil’s fertility and its capacity to retain water, farmers are trained on agricultural practices such as composting, cover techniques, crop rotation and agroforestry which increase the soil’s organic content. Organic matter in the soil indeed retains essential nutrients for plants, ensures the balance of its ecosystem (worms, bacteria) and acts like a sponge which reduces runoff. Within this project, Livelihoods Funds, together with Vi Agroforestry, an NGO, Unique Forestry and Land Use, an environmental consultant, designed a new method to measure the link between the soil’s carbon soil’s and farming practices, fertility and water retention. The study shows that these practices increase the quantity of organic matter in the soil content by around 1 ton per ha each year leading to 17,000 liters more groundwater available per hectare. As a result, this healthy soil sequesters an additional 2,5 tons of C02 per hectare per year. This study confirms that farming practices are a key lever to fight climate change, improve food security and access to water. With a healthier soil, farmers will be able to produce more and better-quality fodder to feed their cows to increase milk production and consequently their revenues. The Livelihoods Mount Elgon project is made possible thanks to the partnership between the Livelihoods Carbon Fund, an impact investment fund backed by private companies, NGO Vi Agroforestry and Brookside, East Africa’s number one dairy player. The Livelihoods Carbon Fund provides the upfront financing necessary for Vi Agroforestry to implement and monitor the project over a ten-year span. Brookside has committed to buy all the milk produced within the project and pays a fee to the fund according the volume of milk produced. Implementation of ‘zaï’ and ‘stone rows’ to retain water and reduce erosion. Together with NGOs, the French Development Agency (AFD) and an international research center, Livelihoods Funds have implemented a project to empower farmers with techniques to capture each and every drop of rain and to restore lands degraded by droughts, overgrazing and erosion. Simple, affordable techniques that can be replicated at a large scale are being implemented. 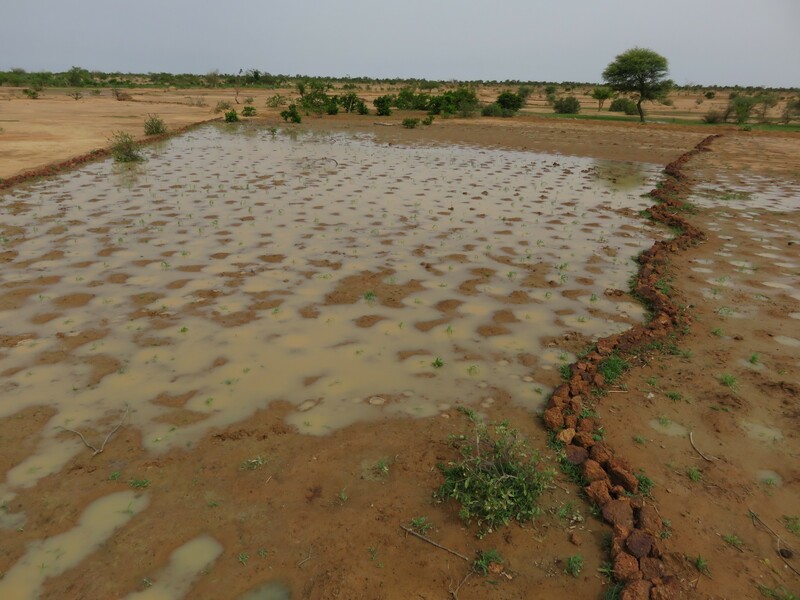 In the provinces of Bam and Lorum, in Northern Burkina Faso, the desert is slowly encroaching on lands where trees used to grow. Water scarcity in these Sahelian regions is already a daily reality as it rains only 3 to 4 months per year in average. In addition to the high variability of rainfall, climate change is leading to higher temperatures, an increase in the frequency and magnitude of extreme weather events and a decline of rainfall generally. Experts are expecting temperatures in the Sahel to increase by 2 degrees in the next 20 years, and by 3 to 5 degrees by 2050. Such a rise would cut crop yields by 15 to 40% – a disaster in one of the poorest regions in the world, where the population doubles every twenty years. Farming in such conditions is a real challenge and agriculture in Burkina Faso employs 80% of the active population. Water is both the long-awaited miracle and a terrible natural force- when torrential rains destroy crops and wash away the soil after long periods of drought. Together with the local NGO Tiipaalga and the French Development Agency (AFD), Livelihoods Funds have implemented a project to empower farmers with techniques to capture each and every drop of rain and to restore lands degraded by droughts, overgrazing and erosion. Simple, affordable techniques that can be replicated at a large scale are being implemented. Open fields are now interspersed with stone rows, following the contour lines of the plots, which stretch to the horizon. These lines of stones slow down the violent run-off of rain water during downpours, so it has time to penetrate the soil, thus retaining the nutrients in place. The fields are also spangled with hundreds of small pits, a Burkina Faso farming technique known as Zaï. With this practice, the little water available concentrates in the depressions where the farmers place the seedlings and compost. And gradually, trees are reappearing here and there across the fields. 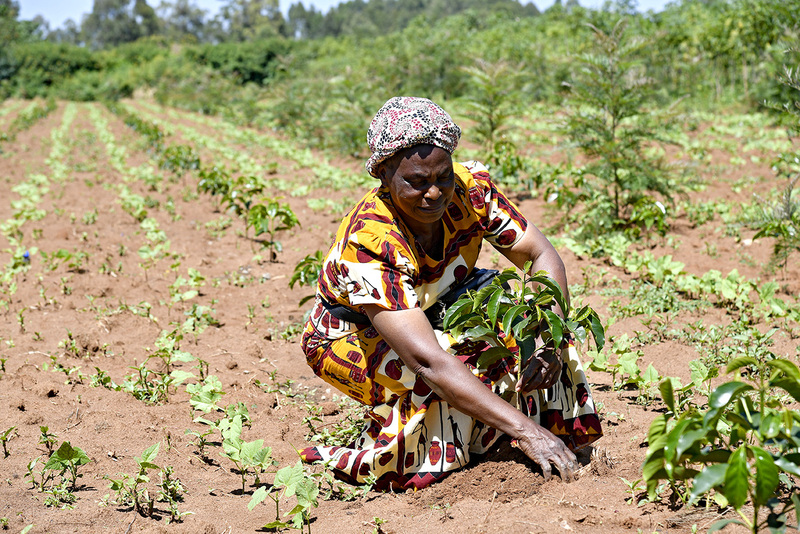 Farmers are learning to recognize the varieties which will bring back fertility to the soil or produce valuable fruits, and to protect the young trees from grazing cattle. 150,000 people are impacted by this project which is expected to multiply crop yields by up to 30%. The impact of these farming practices is currently being measured by the CIRAD (The French agricultural research and international cooperation organization) which has developed tools to enable farmers to follow their progress themselves. These tools and the project’s results will be made available to all organizations wishing to use them in the Sahel or elsewhere. SOS Sahel, an NGO with a long track-record in the Sahel region also brings its expertise to support Tiipaalga in the project implementation. The complementarity between Livelihoods Funds, AFD, NGOs and the CIRAD and the virtuous circle created by the carbon economy has made it possible to deploy the project at a large scale and over a 10-year period. The Livelihoods provides upfront financing to project developers for the implementation of projects in the field. In return for the risk it takes, the fund receives carbon credits over a period of 10 years. 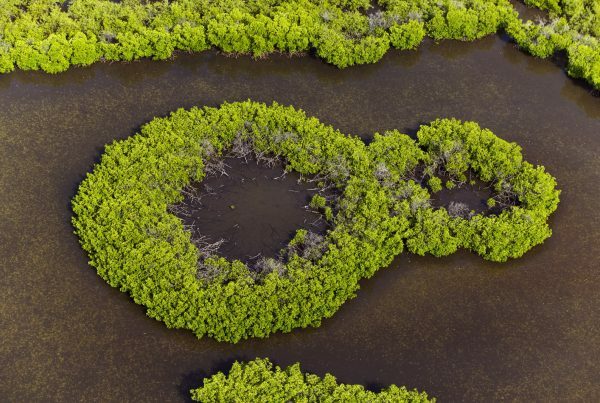 The carbon credits are then distributed to private companies which have invested in the fund and they use them to offset some of the emissions they cannot avoid. This investment model is made possible through the long-term commitment of the investors who rely on the fund to generate carbon credits with high social value for them. AFD brings the necessary financing, in the form of a grant, to implement the sustainable agricultural practices component. AFD’s grant will be paid in part according to the results generated by the project.